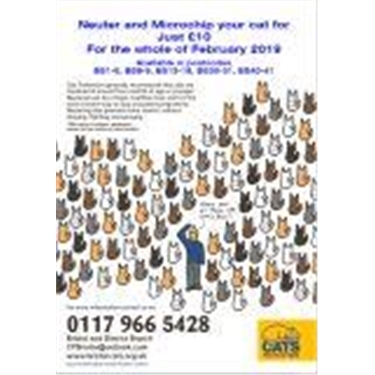 Neuter and Microchip your cat for Just £10. Cats Protection generally recommends that cats are neutered at around four months of age or younger. Neutered cats live longer, healthier lives and it is the most humane way to stop unwanted pregnancies. Neutering also prevents some cancers, reduces straying, fighting and spraying.